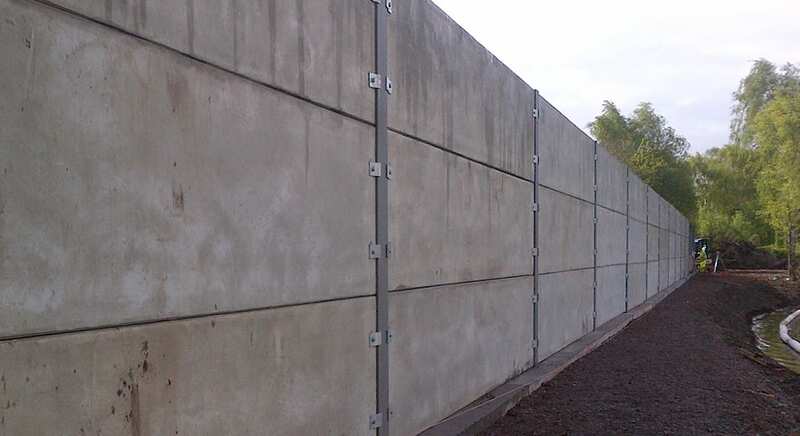 Prestressed concrete panels are usually installed between steel columns to create a continuous, uniform concrete retaining wall. 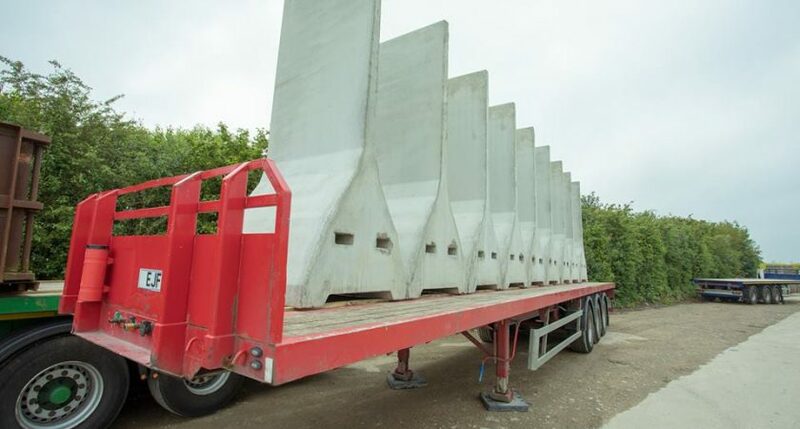 We are able to make prestressed concrete panels in made-to-measure lengths from 1m up to 6.5m long, and in a range of thicknesses from 100mm – 250mm depending on the loadings required. 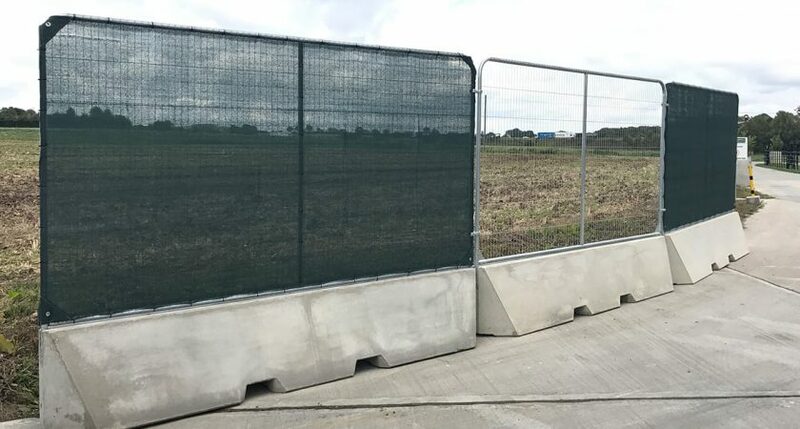 Designed in accordance with BS 8110, the concrete panels have an interlocking tongue and groove design on the horizontal edges. 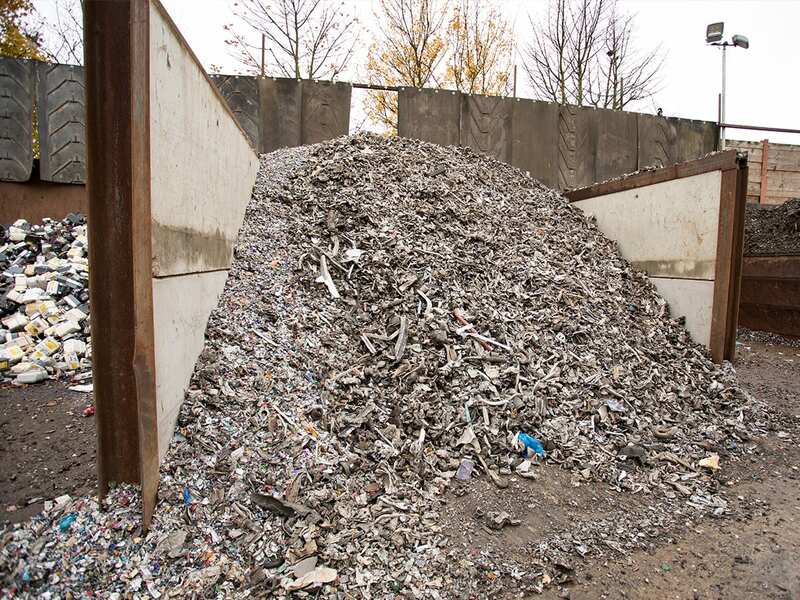 This allows for fast installation and provides a secure joint. 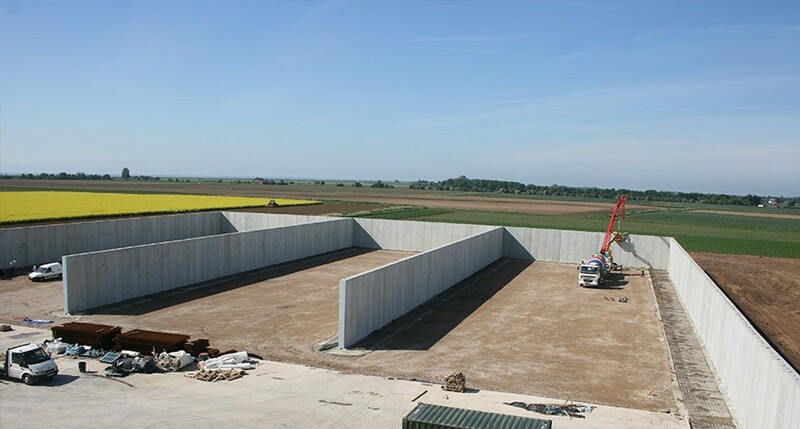 When fitted to steel columns the concrete panels offer a durable and functional walling system and when using sealant the end result is a clean, tidy and weatherproof finish. 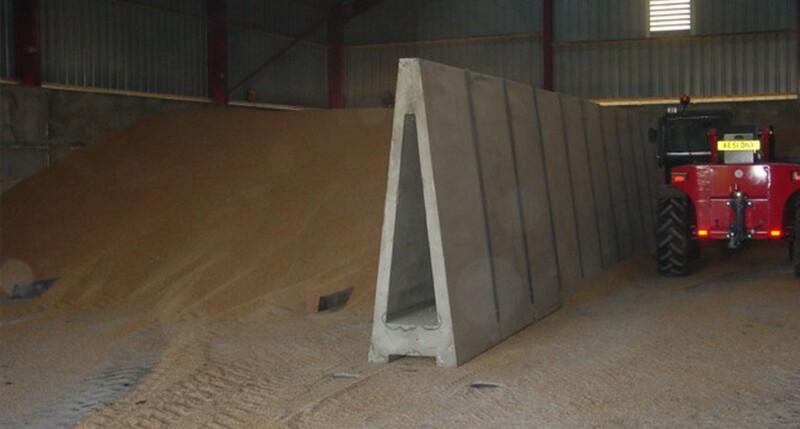 Prestressed concrete panels can be used in conjunction with our other dividing wall products, such as the Alfabloc®, L-Bloc® and Taperbloc™, to create excellent grain and bulk storage areas. 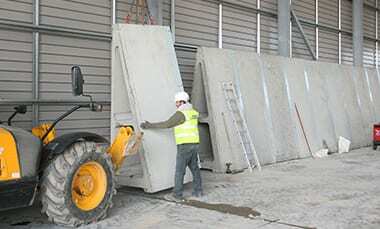 As standard each panel comes with the necessary clips (fish plates), bolts and sealant. 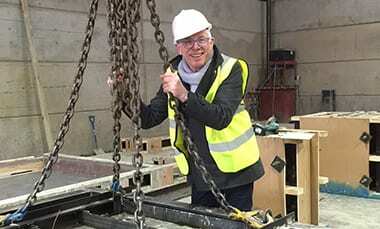 The clips and bolts are required to attach the panel to the steel framework to provide a secure fixing. The sealant, when used in conjunction with the interlocking joint design, can reduce the risk of product leakage..
Our sealant applicator is the ideal solution for ensuring the sealant is evenly, and accurately, applied. 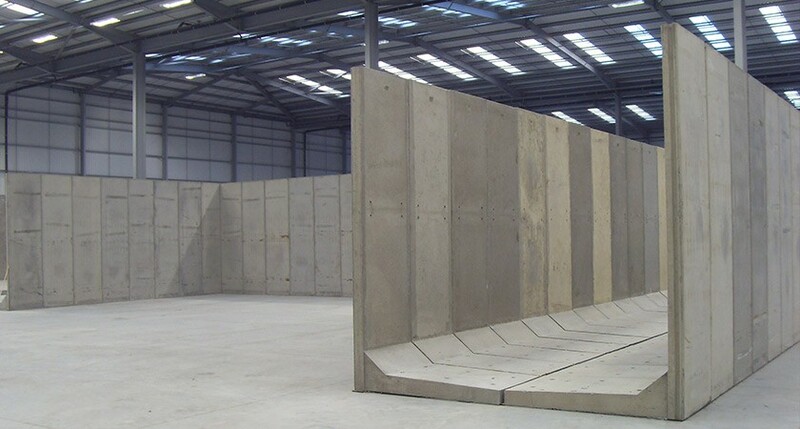 Lifting loops are available to provide a safe and secure lift of the units, which makes installation much easier and quicker. Threaded inserts are cast in to the panels, into which lifting loops can then be screwed in to. Chains, or a spreader bar, can then be attached to the lifting loops to provide additional support in lifting. 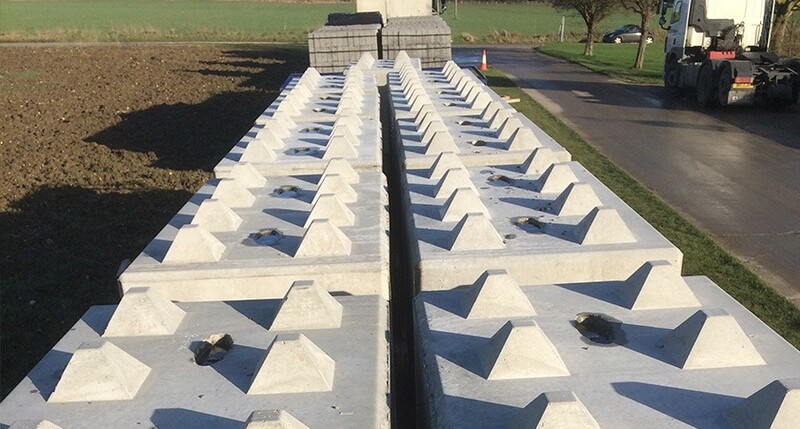 Steel angle, sold by the metre, can be provided to give a secure corner connection of your panel units. 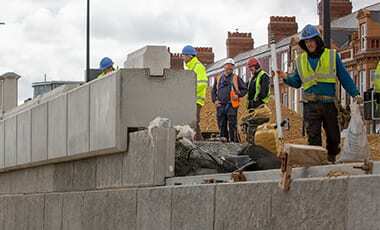 When connecting panels abut a corner, where there is no other support, it is important to ensure secure fixing.